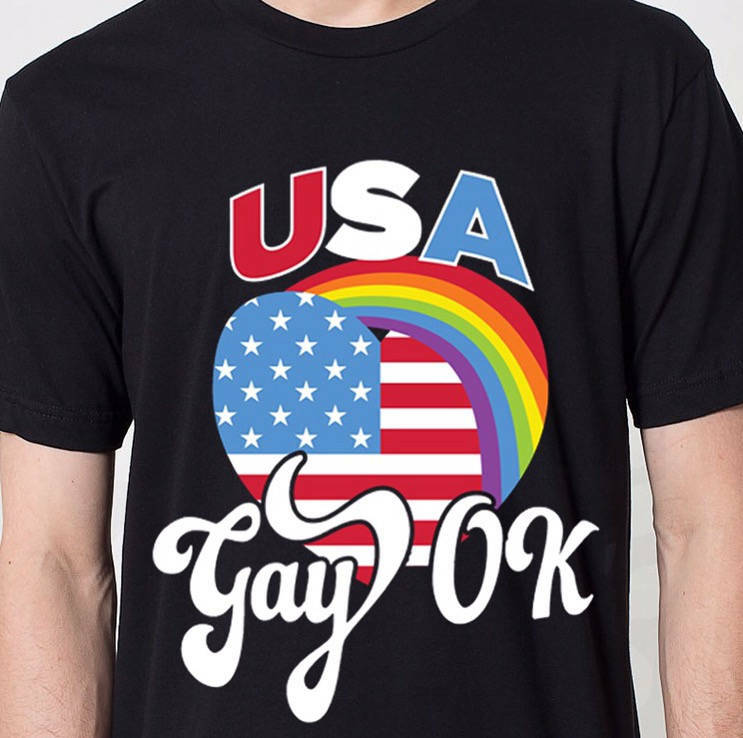 Whether you're gay and proud or love those who are, show your support in "USA Gay OK!!" 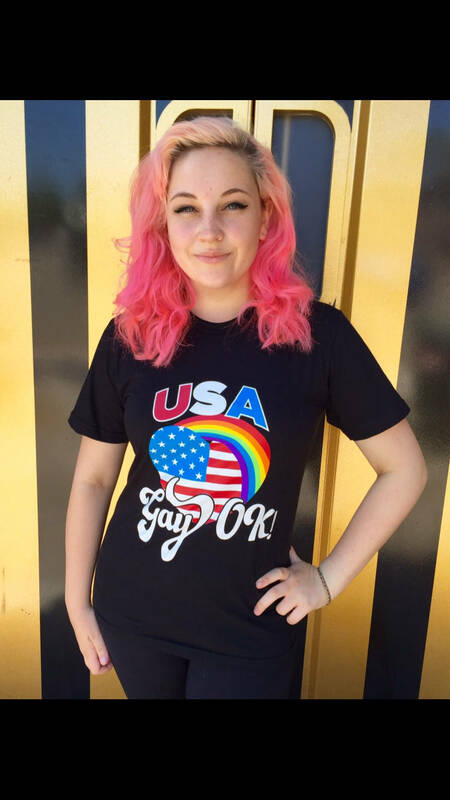 Rainbow printed on a black USA made American Apparel t shirt, perfect for pride festivals, or just about any other day!! Also available in tank top.